You'll feel like it's your own private retreat, tucked away in the mountains. Appoint a designated grill-master, recruit the kids to carry condiments and set up dinner al fresco. The Gant is the only local full service condo resort with a cafe right onsite. Something about the mountains makes you feel more motivated. By the time you ski, hit an après, stop by the hot tub and get dinner going, the little ones may have a case of the yawns. Wood-burning fireplace, amazing views - you could get used to this. Grab a grooming map and head for Little Nell or Silver Queen Gondola lifts, both a 6 minute walk from the resort. You're a 13 minute walk from the shops, restaurant and exciting nightlife in downtown Aspen. The peaceful atmosphere and mountain views at the resort provide the perfect setting for your destination wedding, honeymoon or romantic getaway. Recover from the slopes with a relaxing swim in the outdoor heated pool - there are 2 at the resort. A soak in 1 of the 3 outdoor hot tubs at the resort is the perfect way to unwind aprés-ski. Get your daily steps in at Ute Trail, a 3 minute drive from the resort. It's a 4 minute drive to Smuggler Mountain Trailhead. Grab your clubs and go. Aspen Golf & Tennis Club is a 10 minute drive from the resort. Perched on five gorgeous acres at the base of Aspen Mountain, The Gant is your luxurious gateway to world-class skiing and historic downtown Aspen. Pack fancy, this place is no slacker in the style department. Get treated like the VIGs (Very Important Guests) you are, with valet service, complimentary airport transfers and signature on-demand van service around town. Aspen’s only full service condominium resort with an on-property café, The Gant gets it right with Pepperjack’s – its seasonal terrace seating overlooks one of the beautifully landscaped pools. Stop by early for full breakfast or just pick up a cup of locally roasted gourmet coffee and a pastry. Then drop by again later for lunch or a house cocktail, before parking yourself poolside for the afternoon. Summer is synonymous with tennis here at one of Aspen’s top facilities. Visor-up and head for the five courts – and if you’ve got anything left, hit the fitness center afterward. It won’t take much convincing to get your crew to join you in the hot tub. As great as summer is, winter’s arguably even better with the choice of 5,000 skiable acres across four different mountains – all on one pass. Well appointed one- to three-bedroom condo options come in a range of king/queen combos, all with down pillows (which you’ll appreciate for about five seconds before you fall sound asleep). You’ll want to be up and at ‘em early in the morning, clanking pans in the kitchen to “gently” wake your crew with the promise of bacon and waffles, or whatever your breakfast specialty happens to be. By the time everything’s cleaned up, the kids will be dressed and waiting by the door. Do one last glove-and-helmet check, stuff some hand warmers in your pockets and head for the slopes. Days on the mountain fly by, and you’ll be back in front of your wood-burning fireplace before you know it, thawing your toes, sipping wine and listening to the kids chatter about catching big air in the terrain park. Gather around the dining table for family favorites each night before taking a movie vote or seeing if you can remember how to play Chinese checkers. Once a dusty mining town, today, Aspen is a charmer of a resort village tucked into the mountains, packed with posh shops and upscale dining. In addition to the skiing and hiking, annual events like the Food & Wine Magazine Classic, Aspen Arts Festival, Wintersköl and ESPN Winter X Games know how to keep things lively all year round. 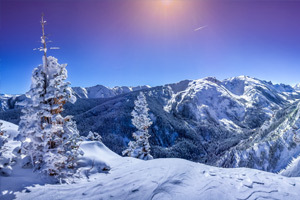 First welcoming skiers in 1947, Aspen Mountain opened with the world’s longest ski lift, followed by the rollout of Buttermilk, Aspen Highlands and Snowmass over the next 20 years. Now you can access all four seamlessly on one pass – even splitting days between two mountains. Summer visitors flock to the Roaring Fork River for rafting, kayaking and fly fishing. Meanwhile, golfers have their pick of six area courses, all within 45 minutes, from the Aspen Municipal Golf Course to the Snowmass Club course designed by Jim Engh – recently voted “Best New Course” by Colorado Golf Magazine. - Front desk is open 7:00 AM-12:00 AM daily. Guests that are planning to arrive after hours must use a telephone in the lobby to call security who will assist with check-in. For more details please contact the property using information on the booking confirmation.